The San Juan Islands are home to true natural wonders of the world, right here in the Pacific Northwest. Consisting of 172 named islands, the San Juan Islands are the perfect playground for those who love the outdoors. Kayaking, camping, sailing, hiking, and whale watching are just a few of the many activities available with a trip to the islands. Whether you’re planning ahead for a vacation or looking for last minute adventures, we put together a list of 10 things we think are worth doing in the San Juan Islands. 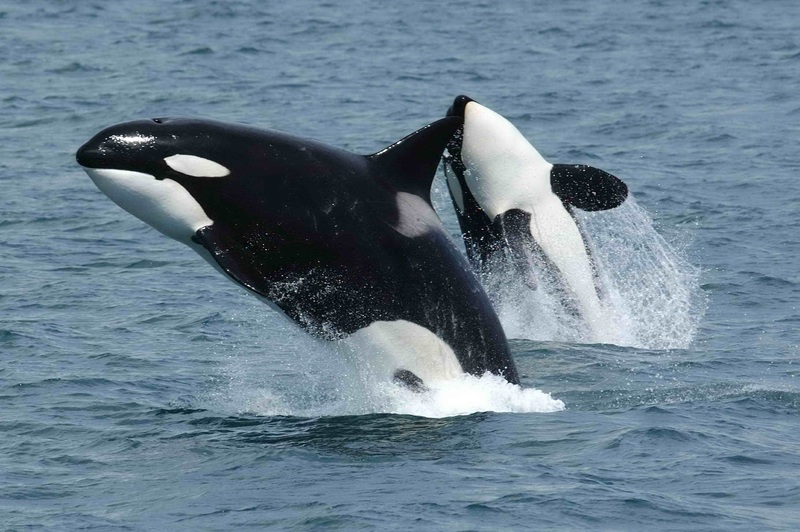 The San Juan Islands are considered the #1 place in North America to see wild orca whales. There are many ways and places in the islands to witness beautiful orcas, humpbacks and gray whales in their natural habitat in the islands. There is an abundance of boat and kayak tours available, or you can just look from the shore. Friday Harbor and Lime Kiln Point State Park are both good places to watch for whales. San Juan Safaris has partnered with us to bring you an amazing adventure where we fly you out to Friday Harbor on San Juan Island, you can enjoy the many shops and restaurants there before boarding a whale watch tour, then fly home with us in the afternoon. See more information about this package on our website. Lime Kiln State Park, sometimes referred to as Whale Watch Park, offers dramatic views and trails on the west side of San Juan Island. Boaters are asked to avoid this area, making it one of the best places to watch for whales. Once you arrive, there is a path that leads you to the Lime Kiln Lighthouse where you can read orcas, seals, and porpoises, and talk to a naturalist. Find a spot to have a lovely picnic by the water and enjoy a gorgeous sunset. More information on the park can be found at Lime Kiln State Park’s website. Take your own kayak or go with one of the many kayaking outfitters on San Juan, Orcas, or Lopez Island. Kayaking is an excellent way to see seals, eagles and other wildlife. It’s also a great way to reach one of the smaller islands only accessible by boat. If you don’t know how to kayak, don’t worry, many companies offer kayak instruction. Make a day of it or a whole weekend trip, as some outfitters offer 2 or 3-day expeditions. Furthermore, you can book a flight with us and take a three-hour or a five-hour kayak tour with our partners at San Juan Safaris. You can read more about this offer on our website. Zip San Juan offers a fun way for the whole family to explore the outdoors. There are 8 zip lines that will take you through a beautiful forest, across a lake full of otters, and over wetlands. Certainly, this tour is an amazing way to experience the nature of San Juan Island and enjoy the thrill of ziplining through a beautiful forest canopy. Find more information and rates on Zip San Juan’s website. Summer is the perfect time to take a trip to this wonderful farm. The first thing you’ll see when you arrive is pillows of purple flowers. 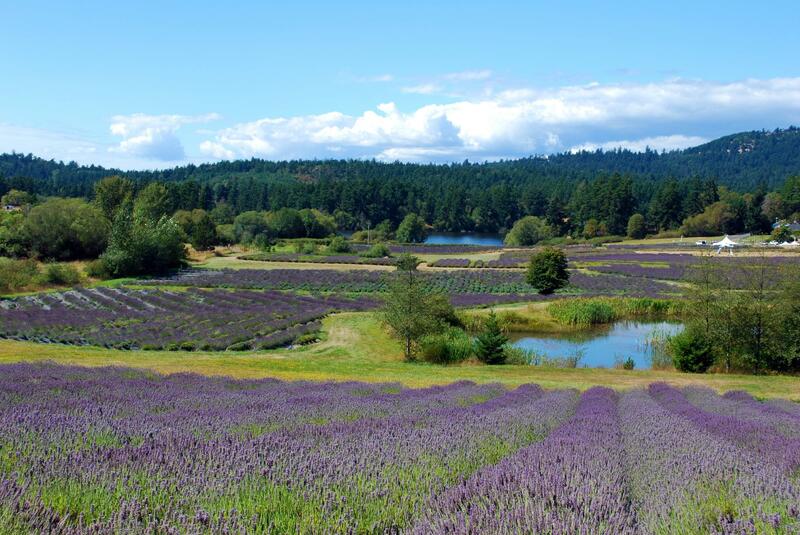 This farm cultivates all their flowers in organically certified fields and extracts the essential oils from their flowers in an on-site distillery to make a variety of products. Furthermore, don’t miss out on the delicious lavender vanilla ice cream! Learn more about the farm and their browse products here. If you like hard cider or gin this is the place for you. San Juan Island Distillery is a family run business that takes their craft seriously. The tasting room is about a 5-minute drive from Roche Harbor and is in a picturesque roadside shelter. They have an apple orchard, make fabulous cider, and the staff is very knowledgeable. Since they are open on Saturday’s and Sunday’s, it’s the perfect stop for your weekend getaway. Learn more on their website. This park is great for a family hike and offers both easy to more difficult trails. Take the Cascade Falls trail for a great family hike, or take a quick loop around the lake. Alternatively, for more adventurous hikers, take the trail to Mt. Constitution. If you’re not up for the workout, Mt. Constitution and its spectacular views can also be reached via car – a must-see sight on the islands! Lopez Island is one of the flattest and tamest bike circuits in the San Juan Islands, making it the perfect island to take the family on a bike ride. 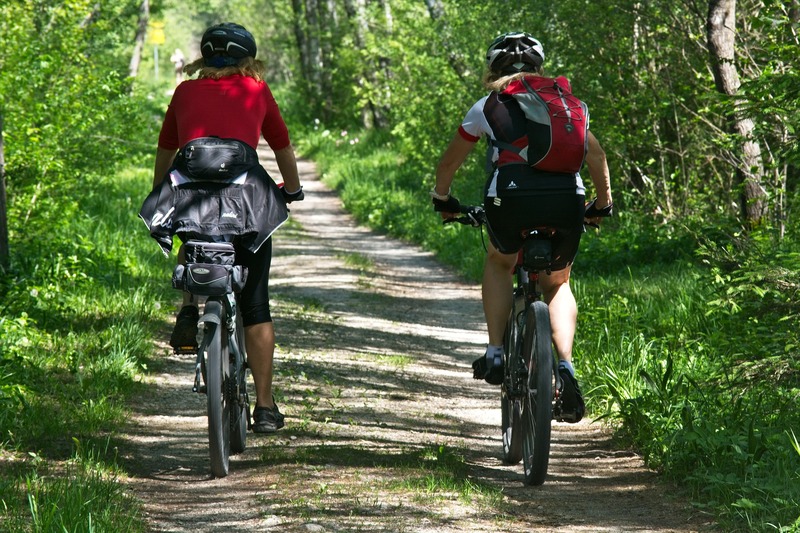 If you don’t have a bike, there are a number of bike rental outfitters to choose from when you arrive. This is a great way to view the island while getting some exercise, and is so good that it was recommended in an article by National Geographic! Looking for local art experiences? Head over to Orcas Island Pottery, it’s rated #1 of 28 things to do in Eastsound on TripAdvisor. Orcas Island Pottery is the oldest pottery studio in the Pacific Northwest, and creates and sells some of the most original and beautiful pottery in the Northwestern United States, and for reasonable prices! Oh, and the location is gorgeous. Check out their website for more information. A hidden gem located on the west shore of Lopez, this park offers a great, short 10-minute hike through the forest to a rocky shoreline with stunning views of the water. While you probably won’t see any sharks, this spot is alive with bird and marine life. 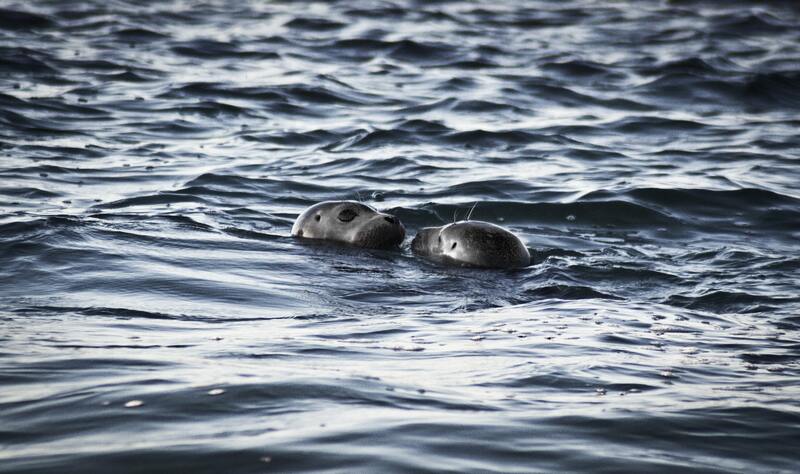 There is a good chance you’ll see some seals basking on rocks and swimming in the currents as well (and perhaps sea lion and otter). Shark Reef Sanctuary is a great place for families seeking outdoor discovery. Take advantage of this beautiful time of year and go explore the San Juans! Whether you do just one of these, or you do them all, we would love to hear from you and see your photos. Share your adventure with us on Facebook, Twitter, or Instagram with the hashtag #SanJuanAirlines. Safe travels!